Today I’m recommending some holiday gift books for youngsters in late primary school through to high school — books that weave together, as the title of this post suggests, fiction, fun and fractions. Each book finds its own way to free math from the classroom and bring it into the richer world of life and imagination to let children see and explore some of the magic, surprise and beauty in mathematics. It is my hope that some of the anxiety children may have about math will be replaced with fun and wonder. 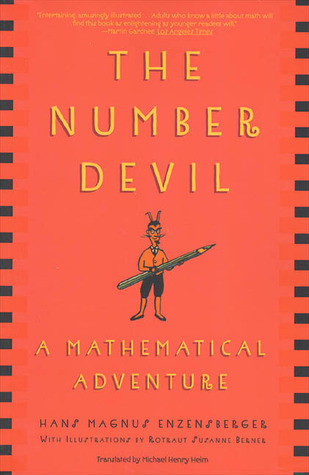 Number Devil: a Mathematical Adventure by Hans Magnus Enzensberger, 264 pages. 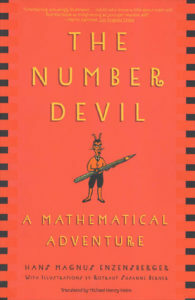 Robert, a boy of 12, is visited in his dreams by a cheeky devil who likes to talk about mathematics, which is not one of Robert’s favorite subjects at all. But Robert begins to like his imaginary discussions with his nightly visitor and comes to understand more of the mathematics he has seen before in class. Over 12 nights of dreaming the devil shows Robert a wide range of mathematics topics (e.g. fractions, Fibonacci numbers, primes, series, etc) each explained in simple and engaging ways. And that is the goal of the book: putting fun and math together. 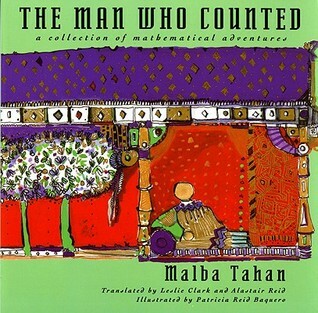 The Man Who Counted: A Collection of Mathematical Adventures by Malba Tahan, 256 pages. This is a book that can be read aloud to a young child or read alone by anyone who enjoys an Arabian Nights fable. Thirty-four bite-sized episodes in the life of Beremiz Samir, The Man Who Counted, charm you with their elegance in both story and mathematical expression. Each episode presents an opportunity for the wise and learned Beremiz to call upon his mathematical ability to help someone in need or outwit troublemakers. The very young will enjoy the adventures alone until they are old enough to take interest in the simple, engaging puzzles embedded in the heart of each story, for this is a book to be read more than once. 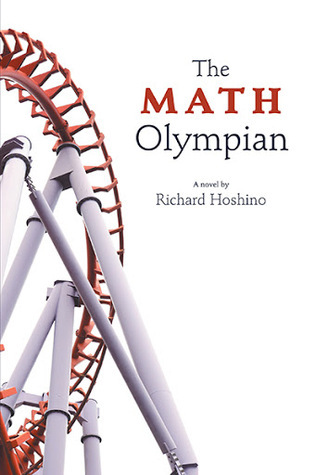 The Math Olympian by Richard Hoshino, 482 pages. This book is aimed at students from middle school to high school. Students who like math will learn a lot about problem solving to help them in their studies and maybe inspire them to enter the world of mathematics outside the confines of school. The book is constructed around five contest-level math questions. In trying to solve the questions, the main character, Bethany, passes on her mentors’ advice about how to understand mathematics. But the book is more than a very good primer about problem solving and math contests. Students who don’t like math will be drawn into the story if they have a friend like Bethany, someone who does enjoy math. Bethany is excited about problem solving. She puts her heart into doing the thing she loves and dreams about, becoming a Math Olympian. At the same time, Bethany is growing through her teen years like all her friends. 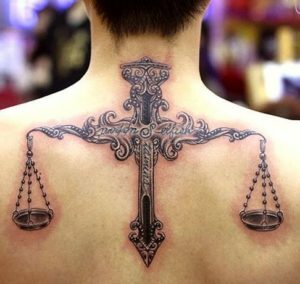 The book is Bethany’s story, told in her own voice, about a struggle that many teens will find overlaps their own stories in different ways. 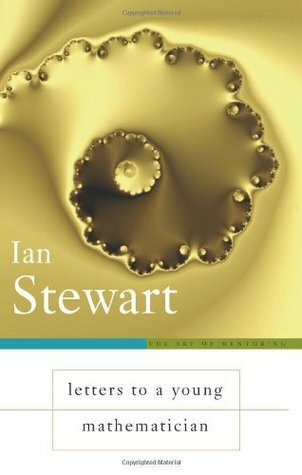 Letters to a Young Mathematician by Ian Stewart, 224 pages. 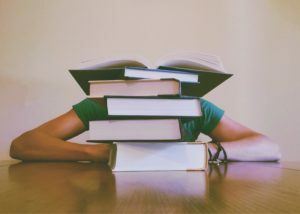 How do I learn math? 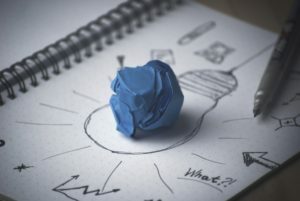 How do I create math? How do I teach math? My reason for including this book is to help students who are moving from high school to university and need to know how they can do well in their new, more challenging environment. The first half of the book is meant for them. I hope you find something in this book list to interest a youngster who likes to be read stories or an older child who may or may not be too keen on math. I hope the readers find the charm, delight and passion in these books that I see. P.S. 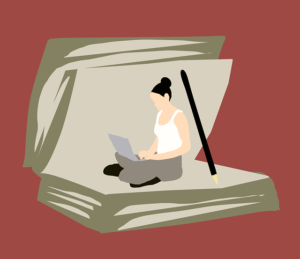 Allow me to add a book list site named Mathematical Fiction you may not have heard of that caters to works of fiction about mathematics and mathematicians. As a Graduate Instructional Developer who works mainly with CTE’s Certificate in University Teaching (CUT) program, I have the privilege of observing graduate students teach in classrooms across campus. Over the past year, I’ve had the opportunity to observe over 35 classes taught by graduate students in all six faculties. I have been incredibly impressed by the quality of teaching by graduate students. They have taken concepts from CTE workshops (e.g., active learning, group work, formative assessment) and applied them directly in their teaching. They are using innovative teaching strategies, technologies, and engaging students in their lessons. The University of Waterloo community should be proud of graduate students’ dedication to, and passion for, teaching. 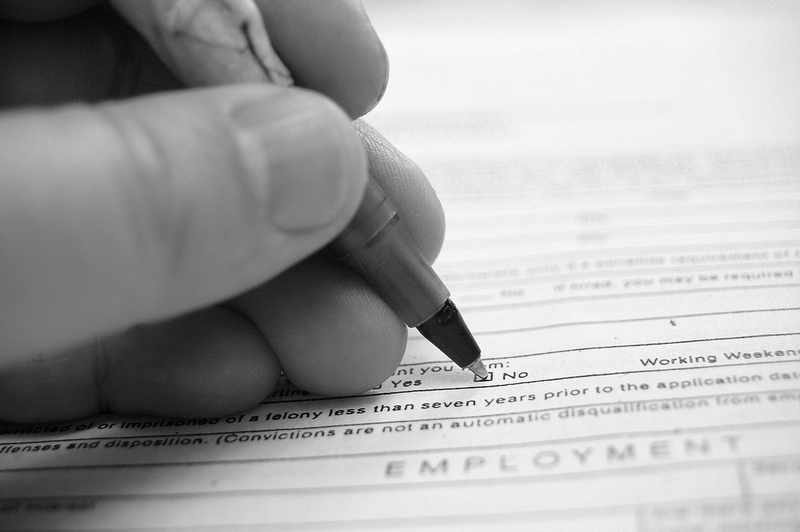 So how can we support graduate students in continuing to develop their teaching skills? 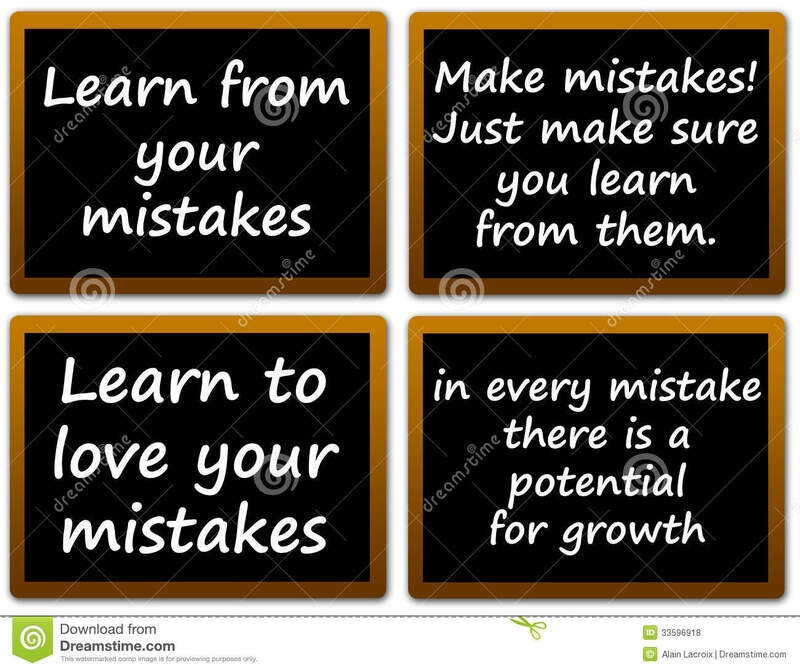 I think many of us would agree the best way to improve our teaching is to practice. In some departments, it’s difficult for graduate students to access teaching opportunities, but guest lectures are a great way to gain experience. If you’re teaching, consider asking the graduate students you supervise and/or your Teaching Assistants whether they’re interested in giving a guest lecture in the course. If you feel comfortable, you can also provide them with feedback on their teaching. If they’re involved in CTE’s Certificate in University Teaching program, you can be their observer for their required teaching practicum. If you know a talented Teaching Assistant or graduate student instructor, please nominate them for an award! Information regarding Graduate Student Teaching Awards can be difficult to find, so I’ve compiled a list here. If you know of any that are missing from this list, please post a comment and we will add them.